Attention! This catalog of markers, or "MIAs," although still present in the State Marker System have gone missing from their listed locations. Perhaps most problematic for our state's markers involve statewide budget cuts and/or continuous conflicting public and private land ownerships. All of the information listed for the MIAs are based on my own personal findings and research through state archives, libraries, and local interviews. Keep checking back on this page as further updates will be posted as soon we have them! Of course a bit of badgering on our part always helps things along! Awareness is the key to solving this MIA dilemma here in Nevada. Until then please contact us below should you receive any info regarding any MIAs we have listed here - including the disappearance of new markers. In most cases, we've found that many markers that go missing usually end up a victim of at least one of these three reasons. This one occurs when a marker has been accidentally destroyed. In most cases this happens when a marker is hit by a vehicle. Unfortunately when this happens the marker is unlikely to be replaced in the future due to the sheer replacement costs. This worse case scenario occurs when a marker is intentionally de-faced, removed, destroyed, or re-located onto private property. Again when this happens the marker is unlikely to be replaced. In a few instances, mainly in rural areas, some markers have been vandalized beyond recognition and removed by the Historical Society itself to prevent further repair costs. Throughout our campaign we have been in contact with the Nevada State Historic Preservation Office (SHPO) in an attempt to keep this number fresh. The Office has a difficult time recording which markers go missing in our sparsely-populated state. In most cases the only way they found out is through public voice, or in this case, us who have been out in the field. Therefore finding any information on the missing markers in terms of their whereabouts or what happened to them is a real hit and miss. This is especially true in rural areas of Nevada. Perhaps the most disconcerting aspect to the marker system is the barriers of red tape involved with care and maintenance of the markers. 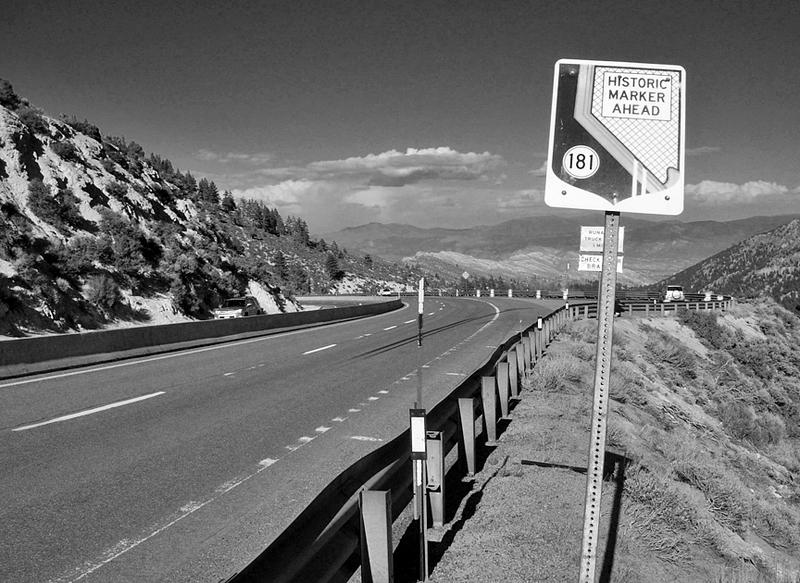 With so many sudden disappearances throughout Nevada, the future can at times look very bleak for the State Marker System. After talking to many people and leaping over a generous amount of barriers the process has been a 'touch-and-go,' 'learn-while-jumping' sort of feat in an attempt to save our historic markers. I am hopeful that with the help of this website, visitors and residents alike across the state will grow heightened awareness regarding our heritage and the importance of our State Marker System. 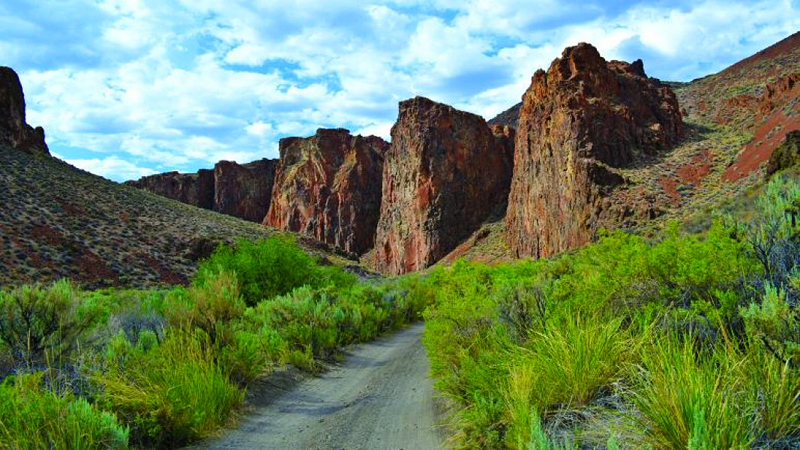 A dash of passion and a kindred respect for Nevada and its history will go a long way to the future. What we have must remain. "The growth of downtown Las Vegas quickly overwhelmed Fantasy Park when Clark County Roads renovated this intersection sometime in the late 90s, in turn, decimating the little park and the marker along with it." "The fact that this marker is missing is a true shame. 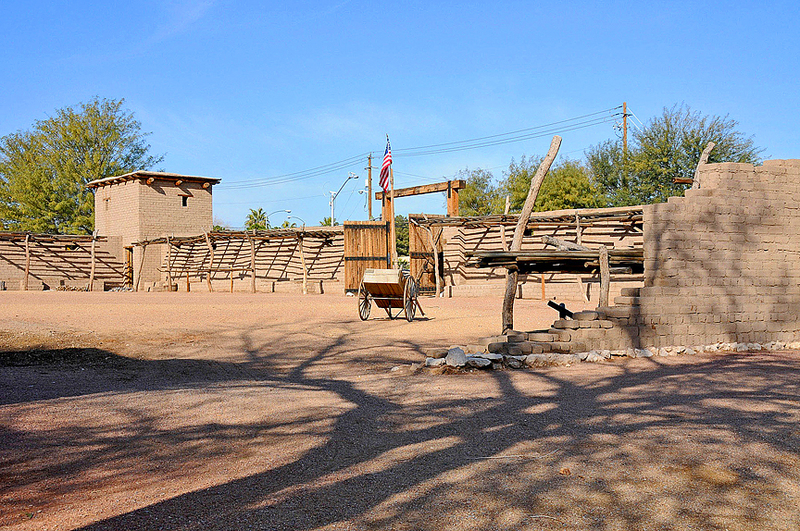 After all, it only represents the state's oldest building." "Here is yet another unfortunate case deriving from Las Vegas; if only I can say it's just a classic case of another MIA. 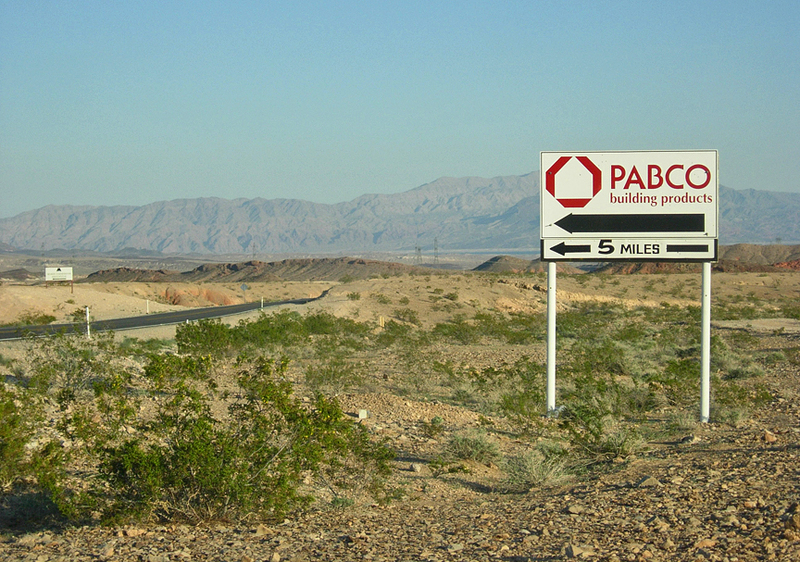 Far from it, because this one had many historical connections to all of southern Nevada." "... As a result of these events,  may have been relocated to any of the six NDOT maintenance stations in the immediate Reno/Sparks area to undergo repairs, or in the worst case scenario, it may have taken an immediate trip to the junkyard." "Today, you will find this rest area CLOSED and the marker nowhere to be found. 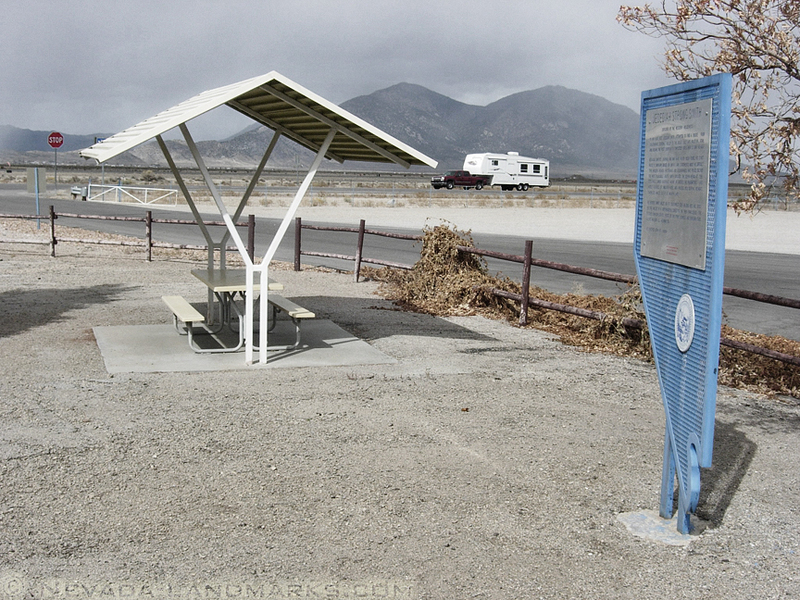 Ely branch NDOT was in the process of tearing down this rest area because of its low use to reduce maintenance costs." 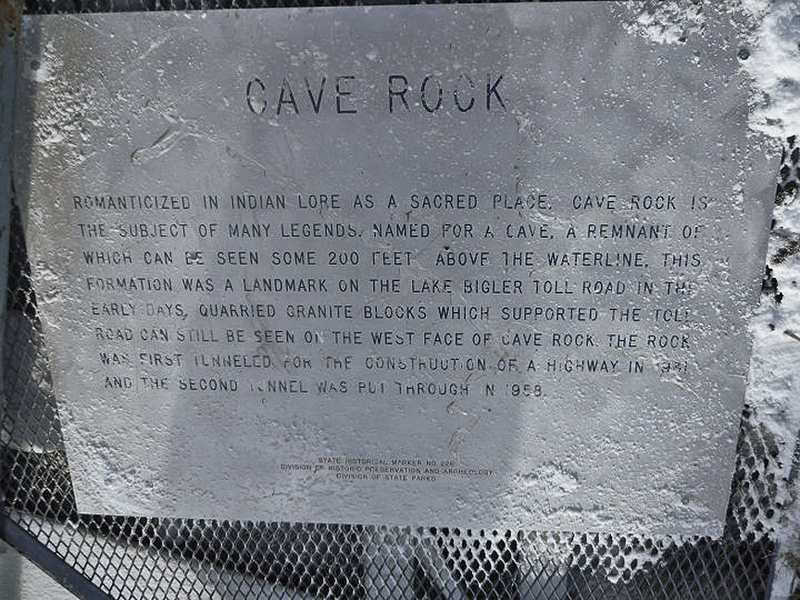 " Gypsum Cave, or its supposed located off of Lake Mead Blvd, is just a few skips away from the busy streets of North Las Vegas. In order to understand the ridiculous nature of this case, you need to find this location first." 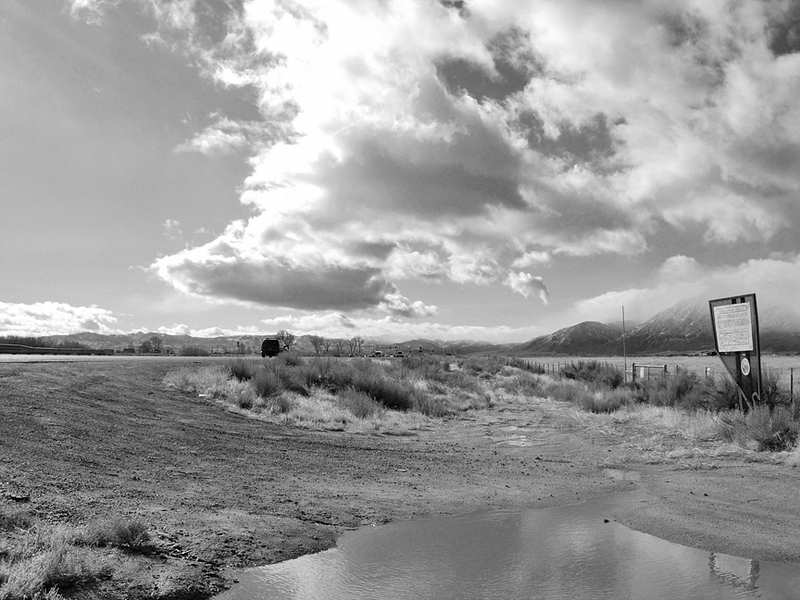 " Cradlebaugh Bridge had been at risk for removal for over a decade, and yet somehow managed to hang at the south end of the Carson River bridge along the Carson Valley Freeway (US 395.)" 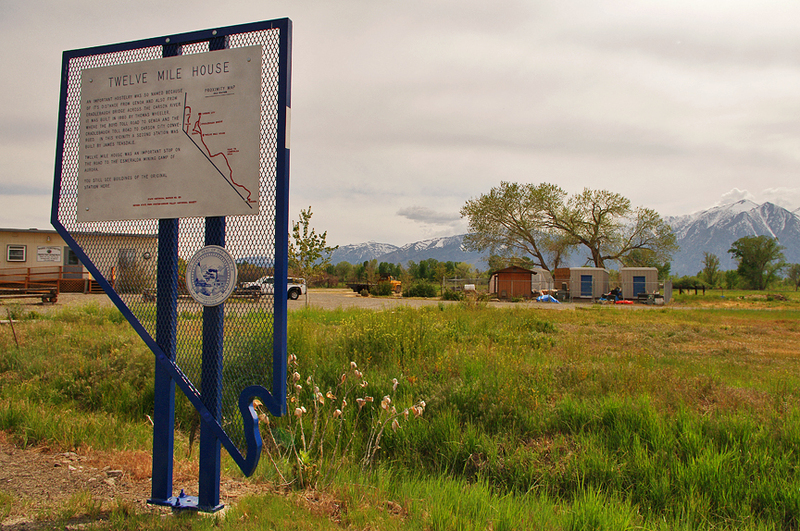 "An important hostelry was so named because of its distance from Genoa and also from Cradlebaugh Bridge across the Carson River." 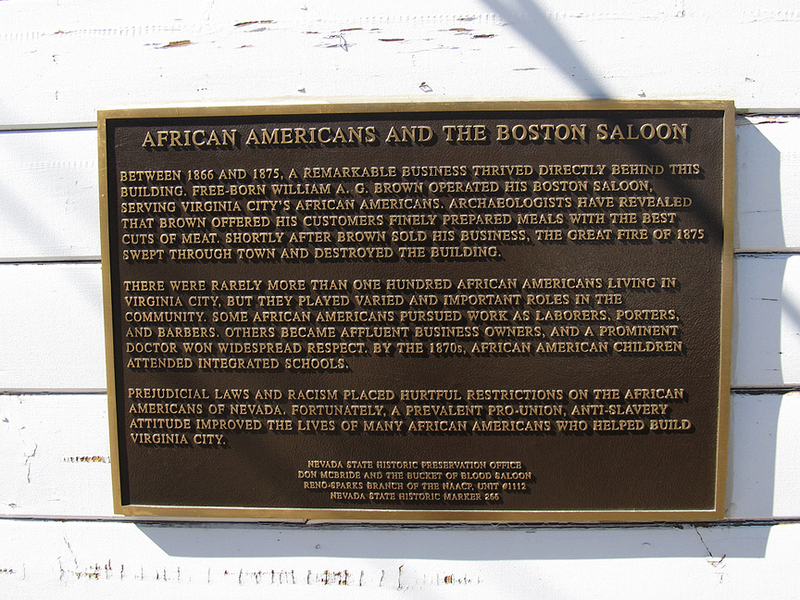 "This is some of the finest text you'll ever read on an historic marker! Too you can't read the plaque because this marker is nowhere to be found." "The case of  is truly puzzling because its supposed location was right alongside US 95 - a relatively well-traveled commuter route even in this sparsely populated region of Nevada." "Once leaving the security of Gerlach, anybody new to the region will be immediately taken away by the area's sudden loneliness. 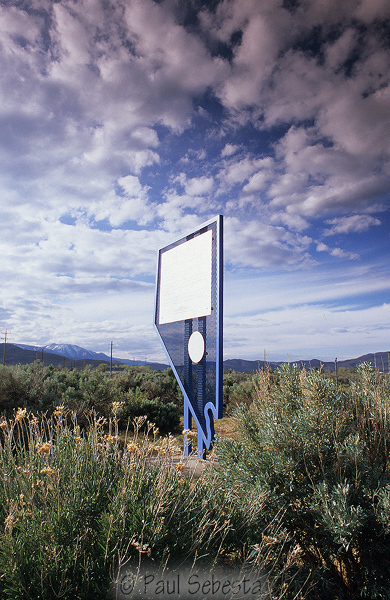 What makes #149 such a challenge to conquer are the complete lack of services ..."
"The disappearance of this marker is likely due to the now-defunct off-and-on construction that took place in the area in the late 1990s; the only result of this construction is the newly-renovated golf course in north Carson City." 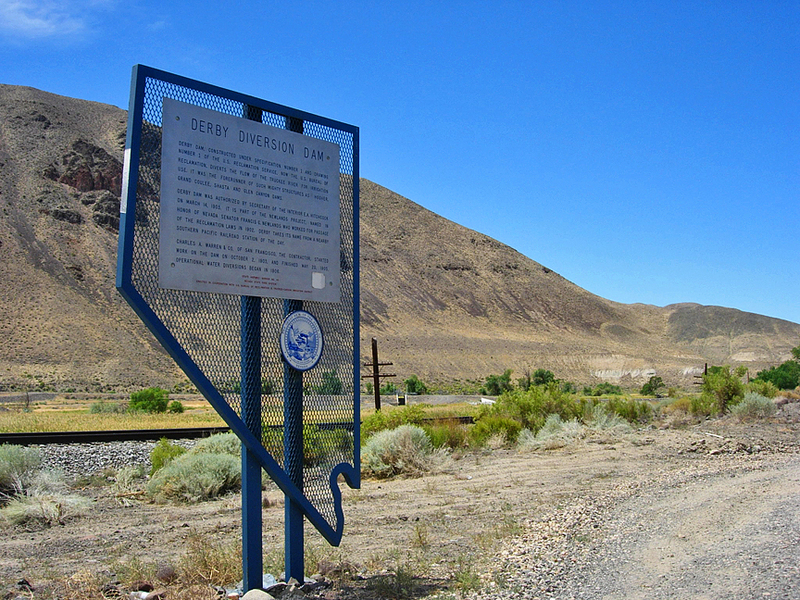 "Having said this, the best explanation for this marker's disappearance may have to do with property rights ... NDOT themselves removed the marker due to private property issues regarding Washo land." 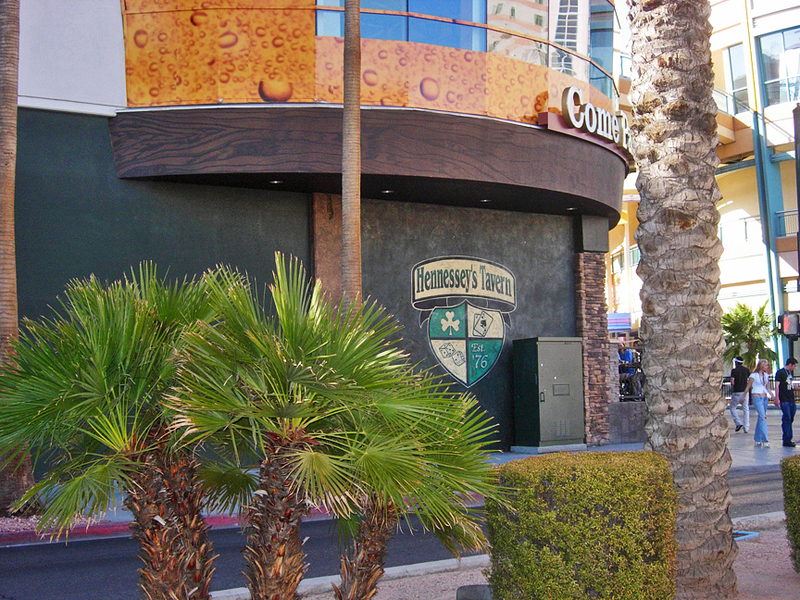 "At one time, rumor had spread that  itself might've been relocated here ... next to the iconic "Vegas Vic" neon sign. 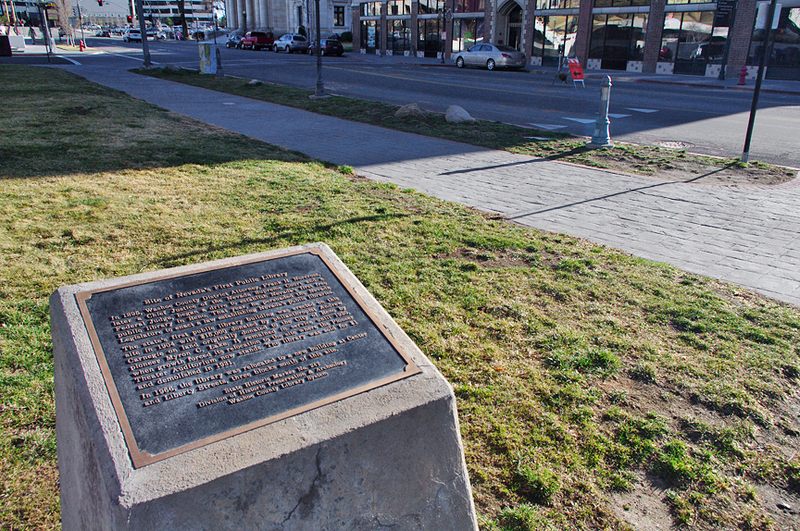 However, I walked the Experience from end to end and didn't find a scrap of evidence the marker's relocation." "According to the SHPO, the text was flawed, "offensive," and misinterpreted a valuable piece of information in accordance to the Washo Tribe. 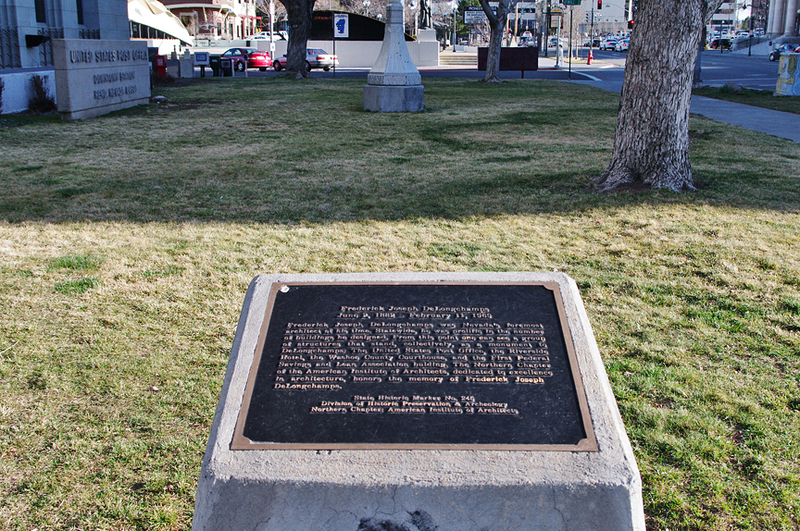 To settle any historical inaccuracies and/or disputes, the marker was pretty much removed in a haste. Or so they say ..."
"After the fire, the owners rebuilt Dinner Station but could not save the marker. was the last of the Standard-issue designs before the SHPO's revamp of marker construction using all metal plaques." "The Northern Nevada Chapter of the American Institute of Architects, dedicated to excellence in architecture, honors the memory of Frederick Joseph DeLongchamps." 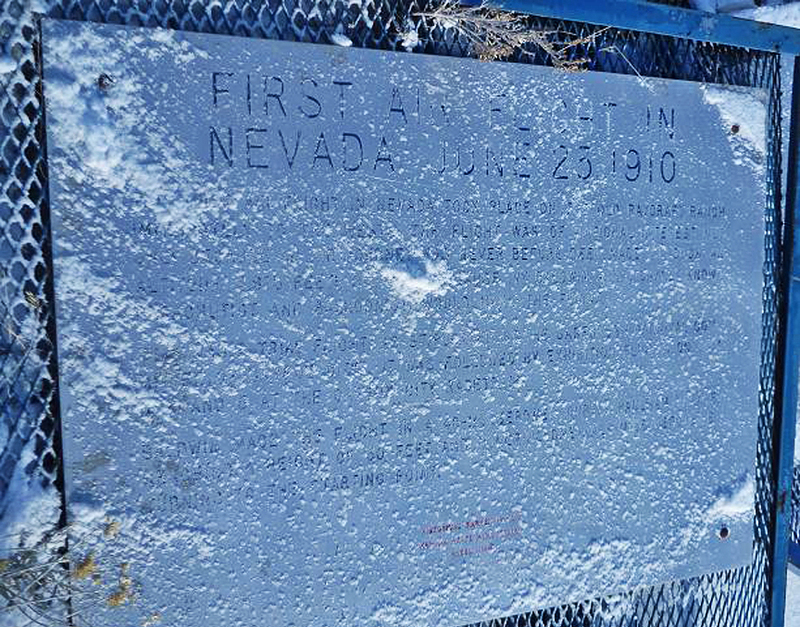 "Nevada's first public library building was erected on this site in 1904 ..."
"The disappearance of this marker means that an awesome story has now vanished from visual zest. It's likely this marker disappearing coincides with a change of ownership of the ATM kiosk in early 2015." Have you been out and about and spotted cases of vandalism or any other shenanigans that would otherwise jeopardize the life of an historic marker? Please do your part and report it here! What we have must remain. Email sent! You'll be hearing from us soon!